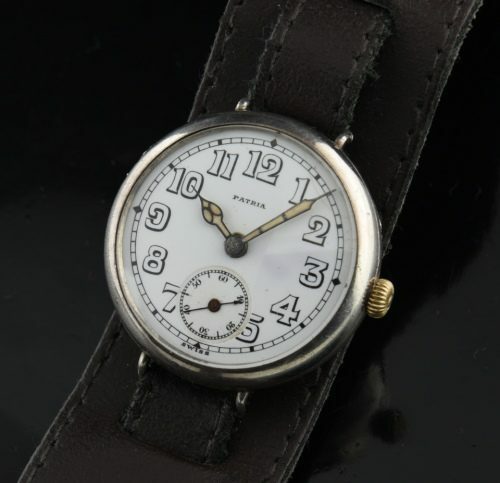 Here is a circa 1914 WW1 era vintage Sterling Silver PATRIA Trench watch having the original and very clean enamel dial and original cathedral style handset. The Sterling Silver hinged case measures 33.5mm. and is in fine shape. The custom leather cuff style band is correct for the era. This manual winding signed SWISS movement was just cleaned and is accurate. Celebrate 100 years since WW1!